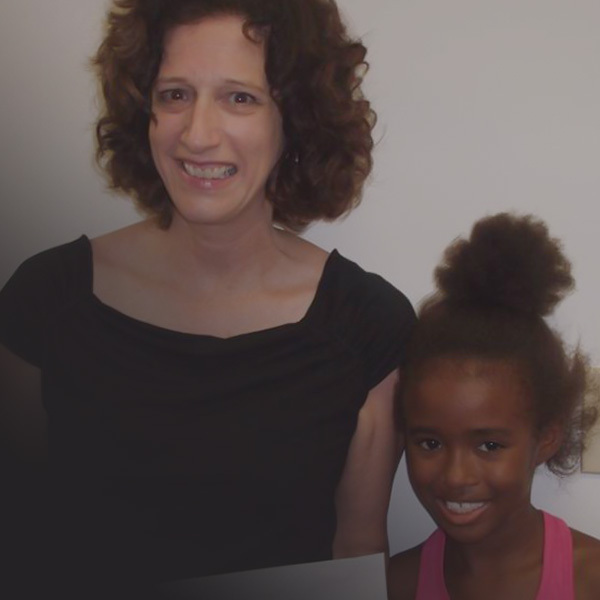 Big Sister Jean and Little Sister Xzavia have been matched in Chester County since 2010. “Xzavia has so much energy and is fun to be around,” said Big Sister Jean. The pair does a lot together, and their favorite activity is taking trips to the beach. A few summers ago, the match planned a car wash in their neighborhood to benefit Big Brothers Big Sisters Southeastern PA.
“I got the idea from my son’s tennis team who held a similar fundraiser,” Big Sister Jean told us. “I thought, ‘Wow, we can do this for Big Brothers Big Sisters so they can help more people like they’ve helped us. '” Together, Jean and Xzavia recruited family and friends to volunteer and organized a car wash in the parking lot of their local McDonald’s. During one weekend afternoon, they washed 25 cars and raised $350 in donations for our agency. Big Sister Jean and Little Sister Xzavia agree that the best part of the experience was having fun and feeling good knowing they gave back to the community.